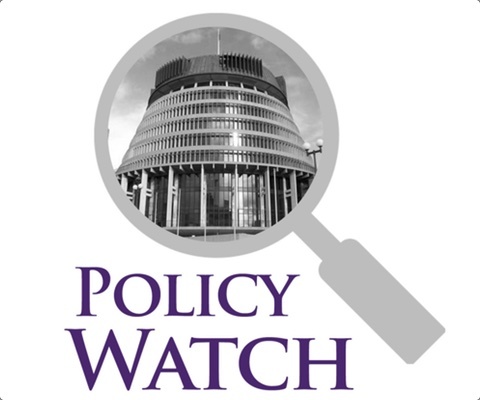 Easter is fast approaching as we write this edition of Policy Watch. For Christians Easter is the most important festival of the year when we remember that the Spirit of life and love is stronger than the power of death and hatred. On the other side of despair is renewed hope, and that is what the Easter Sunday celebrates after the drama of the Good Friday events. Whatever your beliefs, we hope that this Easter you have time for rest and renewal and return to your tasks after the break with new energy and vision. Last week NZCCSS Policy Advisor Paul Barber took up an invite from Community Networks Aotearoa’s Ros Rice to talk with her about what is happening in the policy space in our sector on her regular Collaborative Voices radio show on Access radio. You can hear the podcast on the Access Radio website as they discussed the Child Poverty Reduction Bill, culture change in Work and Income, rental law changes and a introducing an interest rate cap among other things. Links to more information on these and other topics are covered below. This week Trevor McGlinchey and Sonia Scott went along to the Social Services and Community Select Committee to speak to them about our submission on the Social Workers Registration Bill. They told the Committee our concern that the Bill is fatally flawed and recommended that it not proceed further in its current form. It would be fair to say that these concerns are widely shared, especially among the community organisations that are not funded to meet the implementation costs that are required to support mandatory registration. Submissions on the Child Poverty Reduction Bill close soon. NZCCSS along with many other groups is busy finalising our comments on the Bill that are due by 4th April. We encourage people to submit on this Bill and we hope you will share our broad support for the aims of this Bill, even as the discussion continues on the details of what we measure and how we measure child poverty in this country. You can read the very good Child Poverty Action Group submission on their website and the NZCCSS submission will be online on our Submissions webpage. Make your submission online on the Parliament website or contact them about how to make a written submission. Poverty and the gap between rich and poor continue to be named most often when New Zealanders are asked “what is the biggest problem facing New Zealand today”, according to Roy Morgan’s latest poll result. So what is happening that will help reduce poverty and inequality in this country? The Minimum Wage Increases from 1st April. The increase of 75 cents to $16.50 per hour for the minimum wage is a nearly 5% increase for an estimated 169,000 low paid workers. This will be a welcome boost to low income earners and is a first step towards the Government’s target of $20 per hour minimum wage by April 2021. The Living Wage movement continues to go from strength to strength as we look forward to the 2018 Living Wage announcement on 4th April. This will mark another step in the journey to lifting low wages and set a benchmark for decent incomes. NZCCSS os one of nearly 100 organisations that are now accredited Living Wage Employers. In Parliament, the Speaker Trevor Mallard has introduced the Living Wage for cleaners and catering workers in Parliament who will receive a significant boost in pay when the changes come into effect from 2019. No more million-dollar public servants? One small but helpful step to deal with inequality is to reign in the excessive pay rises at CEO level. This excess extends into the government sector, with several crown entities disregarding directions from the State Services Commission on their CEO’s pay. The most spectacular was the NZ Super Fund giving then CEO Adrian Orr a huge pay increase in 2016 making him the first public servant to receive a million dollar pay package. Now State Services Minister Chris Hipkins is bringing in legislation to further control state sector CEO pay. Taxes help reduce inequality and the Tax Working Group is calling for people to give them feedback on how to make changes to our tax system to make it fairer. Comments are asked for before the 30th April and we urge people to get involved. NZCCSS is working with Hui-E and other NGOs to put together some shared thoughts in response to the review, so keep an eye for more from us in the near future. One question the recently launched consultation of the Tax Working Group is looking at is how the tax system affects inequality. It plays a vital role in redistributing income to help those in need but doesn’t do it nearly as well as it used to. NZCCSS is part of the The Equality Network, a group of nearly 40 organisations working together to reduce inequality, that has been calling for taxes on very high levels of wealth and higher tax rates for the highest income earners (e.g. over $150,000). One other area that hugely impacts those on lower incomes is the way the tax and the welfare systems interact says Victoria University’s Dr Simon Chapple and this should also be covered by the review. Important examples of this are the very high effective marginal tax rates people face when moving off benefits into paid work or when their incomes move above thresholds for Working for Families or the Accommodation Supplement. Bringing in a cap on interest rates is on the agenda for the current government to help reign in the culture of predatory lending that preys on vulnerable communities. Minister of Commerce and Consumer Affairs Kris Faafoi has announced more information about the review of the Credit Contracts and Consumer Finance Act that will look at lending practices and debt collection with a discussion paper to be released mid-year. A cap on interest rates and access to no-interest loans are two ways to overcome debt-induced poverty based on the experience in our NZCCSS networks of supporting people facing huge high interest debt. A culture change in renting is another task that is already underway. Around half of our population is renting so helping people to be able to make their rental house their home, live in good quality housing, have the option to stay for longer term and have disputes and issues dealt with fairly – that is the direction of change. The latest step is to ban letting fees, an unnecessary and unfair cost to people seeking a rental home. The government wants this ban in place before the end of the year. It is a simple and straightforward step to reduce the costs for renters who face hefty up-front costs when starting a tenancy. Rental bidding is also in the news and is an example of what happens when there are limited controls on how rental properties are marketed. No doubt this will be part of the review of renting laws that Housing Minister Phil Twyford has said he is working on. Another way to make a difference is to utilise unclaimed bond money to fund organisations that work with tenants to support them in maintaining their tenancies and helping them to deal with disputes. Almost all of disputes that come before the Tenancy Tribunal are from landlords, and one big reason for that is that individual tenants struggle to understand and take action on their rights. Back in December the Salvation Army released a report on the challenges facing migrant workers in aged care. But it seems there are no signs of a quick fix for the workers in aged care affected by current immigration rules, according to sector magazine INsite. Officials are working on changes to the rules but the process is complicated by needing to align with Australian rules. The government has also said that other changes to the Labour Market Test and the Accredited Employer Scheme have higher priority for them. This month Presbyterian Support Otago said farewell to their CEO Gillian Bremner who is retiring after more than 20 years with PS Otago. For much of that time she has also played a key role in the work of NZCCSS including being a Council and Policy Group member and Vice-President for some of the time. She shared some reflections in the PSO news this month on the changes she has seen in this time, including the huge rise in need for foodbanks (“We are now giving out 10,000 food items each month”), the growing need for advocacy and the rise in need for aged care. We say thank you to her for all she has done for the community and for our organisation and wish her and family well for the future. Oranga Tamariki—Ministry for Children is making available a Capability Development Fund (CDF). The purpose of the fund is to develop the capability of organisations currently delivering care to tamariki and rangatahi (or those wanting to move into this space), to directly create additional care options across Aotearoa. Tell us what you think of government procurement! The 2018 government procurement business survey is now open. If you’re an organisation who has supplied or is thinking of supplying to government then we’d like to hear from you. Age Concern Conference 16-17 April 2018. “Age Concerns Everyone” – find out more and register online on the conference website.